In some ways Laika studios is becoming the indie animation factory where alternative childrens films go to flourish and are received with almost guaranteed better reception than anything the likes of Dreamworks, Disney or even Pixar puts out at this point. Don't get me wrong, those studios still make more money and get more attention and of course don't put out bad products (How to Train Your Dragon 2 and Frozen were critical successes as much as they were commercially and the upcoming Inside Out looks insanely ambitious),but at this point critics turn to Laika for something a little off the beaten path, something not so conventional in the realm of animation and typically, they are handsomely rewarded by the stop-motion studio. This kind of elitist, pedigreed status may already be hurting the studio though as with only its third feature out I came away feeling rather indifferent about the whole experience. This may be due to the fact my expectations were rather high given I really enjoyed, dare I say loved, Paranorman and thought it to be an exercise in both nostalgia and expert craftsmanship that resulted in a thoroughly entertaining and weighted film. The techniques used to bring the characters and worlds to life typically serve only to enhance the tone and intended darkness of the stories being told while keeping the overall facade light as if all a masquerade for the children with deeper meaning behind the mask for their parents. This works to a certain extent with our titular characters in Laika's latest film, but never do we find the connection to our human surrogate that we did to Norman whilst on his quest to prove he could rid his town of its age old curse. This lack of connection is odd because both characters are essentially outcasts, people who don't integrate into society seamlessly and thus require and adventure for some type of initiation and acceptance to be felt. In The Boxtrolls our surrogate is a young boy adopted into a society believed to be monsters based on appearance alone (is it easy to see what the moral of the story will be yet?). Eggs (Isaac Hempstead Wright), as he is so lovingly referred, is both charming and naturally intuitive given his strange predicament and his plight is at least endearing if not all that interesting while the biggest let down overall is that this is just what you expect it to be and little more. Winnie (Elle Fanning), her father Lord Portley-Rind (Jared Harris) and their company cheer on Madame Fru Fru. The outlook wasn't always this bleak though as from the moment we are dropped into the town of Cheesebridge we are delivered a world of imagination filled with many reasons to be fascinated. Within the first five minutes of the film there is a supposed child abduction by these people-eating pests that live in the sewers underneath the city and a super objective stated in the form of a deal between exterminator Archibald Snatcher (Ben Kingsley) and Lord Portley-Rind (Jared Harris). You see, Snatcher is a lowly peasant who dreams of belonging to the highest class of society and in Cheesebridge that is apparently only accomplished when you are granted access to the tasting room where what serves as the town council wear white hats and taste-test a plethora of cheeses. Portley-Rind is an aristocrat in every sense of the word, but promises to grant Snatcher access into the White Hats on the condition he captures and kills every Boxtroll in the city. And we are off! Snatcher recruits his team of henchmen including Mr. Trout (Nick Frost), Mr. Pickles (Richard Ayoade) and Mr. Gristle (Tracy Morgan) to help in his mission while Trout and Pickles constantly debate whether or not they are being perceived as the good guys or the bad guys in their present situation. The aforementioned kidnapped child comes to be known as the Trubshaw Baby who the townspeople believe was kidnapped and eaten by the Boxtrolls. In actuality that baby grew up to be Eggs who one of the trolls, known as Fish (Dee Bradley Baker), raised as his own. While Eggs believes fully that he is indeed a Boxtroll, even accompanying them on their nightly excursions into the city to scavenger hunt, he cannot ignore the rate at which his now family are disappearing after being captured by Snatcher. In an effort to stop this concerning trend Eggs ventures to the upper world during the day and runs into Lord Portley-Rind's neglected daughter Winnie (Elle Fanning) who seems to have always suspected there was more going on than she'd been led to believe. 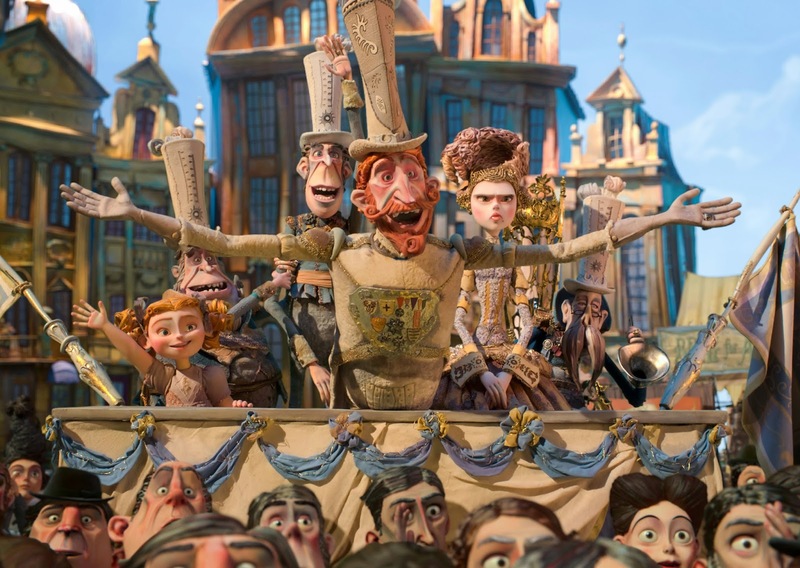 If one goes into The Boxtrolls looking for pure escapism they will likely be satisfied with the final product as it is lush with far away lands and amusing if not enticing melodrama that teaches the younger viewers it is not the things you have that make you who you are, but the things you do. If anything, what I appreciated most about the film was its approach to this idea of singularity and how it delicately spoke on the subject and fact of not every single person being special or different. Instead, instilling the idea that it is what you do with your time and talent that gives you these special qualities rather than being inherently blessed with them is something our current generation desperately needs to hear. There is a trend of "you can do whatever you want if you put your mind to it" mentality that rips through grade schools and even through to college that instills in billions of young minds that they might actually be able to make of themselves their highest ambition when there are simply too many people in this world for everyone to reach that point. It is great for those who can live that dream, but what about the countless others who did in fact put their mind to it, but either didn't have the resources or timing to make it happen? When things don't happen as planned we are made to feel as if we've failed, while sometimes trying, not making it, accepting that and moving on is just as admirable if not more noble for the fact the truth was able to not only be swallowed, but realized. All of this is to say that Eggs isn't special just because he was raised by the Boxtrolls and came to light a decade later as the Trubshaw Baby, but because he steps up when no one else would (when the rest of his "family" didn't understand their situation to the depths he did) and made something happen. Simply put: he did the right thing. Does this make him exceptional? In a lot of ways, yes. Does this mean he was meant or even aspired to be considered as remarkable? Nope. 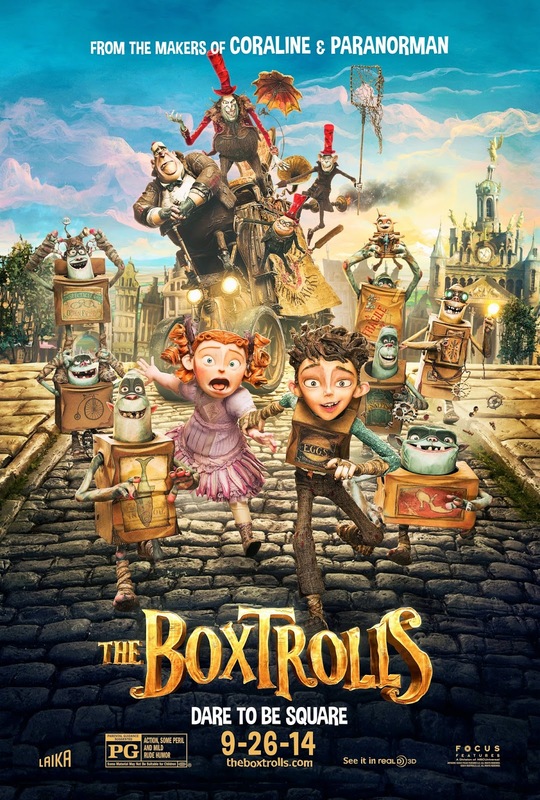 The Boxtrolls teaches the age old lessons of being yourself and not letting others make you who don't want to be while not judging others for allowing themselves those same freedoms. It is a tale of singularity without ego, the kind of noteworthy selflessness we should all take note of. 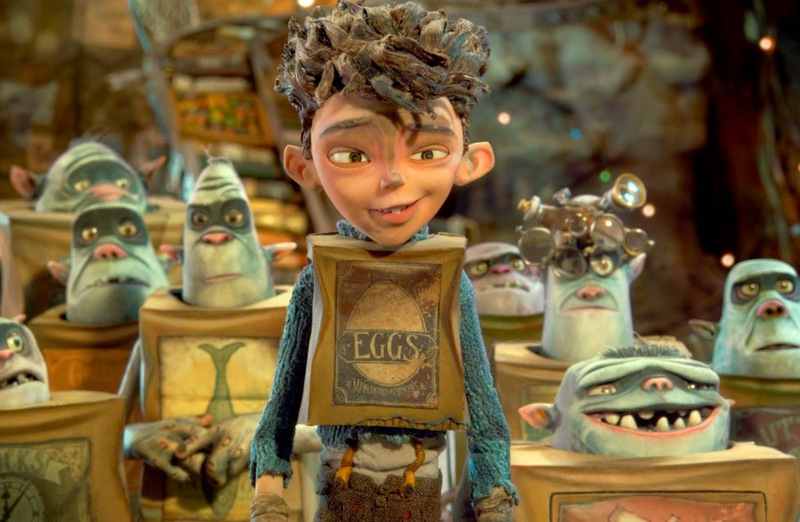 Eggs (Isaac Hempstead Wright) is welcomed whole-heartidly into the world of the Boxtrolls. While it is in these kinds of underlying themes and social commentaries that Laika typically flourishes in communicating to different kinds of audiences it seems it is the broad scope to which they are trying to appeal with these more general ideas that makes The Boxtrolls a lot less exceptional in itself. Still, I find it hard to be mad at either the studio or the story given it is brought to life in such wonderful fashion. Even if the narrative, while nicely paced, goes nowhere unexpected or particularly interesting as it is laid out only to make its point clear it is at least a fun ride given the personalities of the trolls and human characters as well as the wonderful environment in which they exist. You can glimpse this kind of energized imagination from the first frames of Snatcher riding through the streets on his carriage and as he disappears around the corner the sewers opening up to reveal yellow glowing eyes only to be enhanced by the framing of it all. Everything we see hear is so clearly a full realization of a well-crafted and intensely thought-out vision it is ultimately impossible to not appreciate it. From the way in which the Boxtrolls slide to and from their home underneath the earth to the human character design that sees the pigment of their skin change from distressed reds and blues over white to full-on red depending on certain reactions is astounding given the way the film was made and elicits more than enough laughs from the audience to sustain their delighted reactions if not fully involve them in the plot. It is all well and good to see the development of a relationship between Eggs and Winnie, but not surprising. It is all well and good to see Lord Portley-Rind tricked by his preoccupation with Madame Fru Fru while also getting a teeny bit of redemption with his daughter and it is of course good to see Eggs come out the other end of his odd, ten year experience with the Boxtrolls as a well-meaning and stable young man, but not surprising. While fun may be the name of the game for most animated films I expect a little more from those at Laika and generally think they do too. The Boxtrolls is fine enough for what it is probably perceived to be, but it's not as clever as it should or was likely intended to be.